The importance of gum health cannot be overstated. 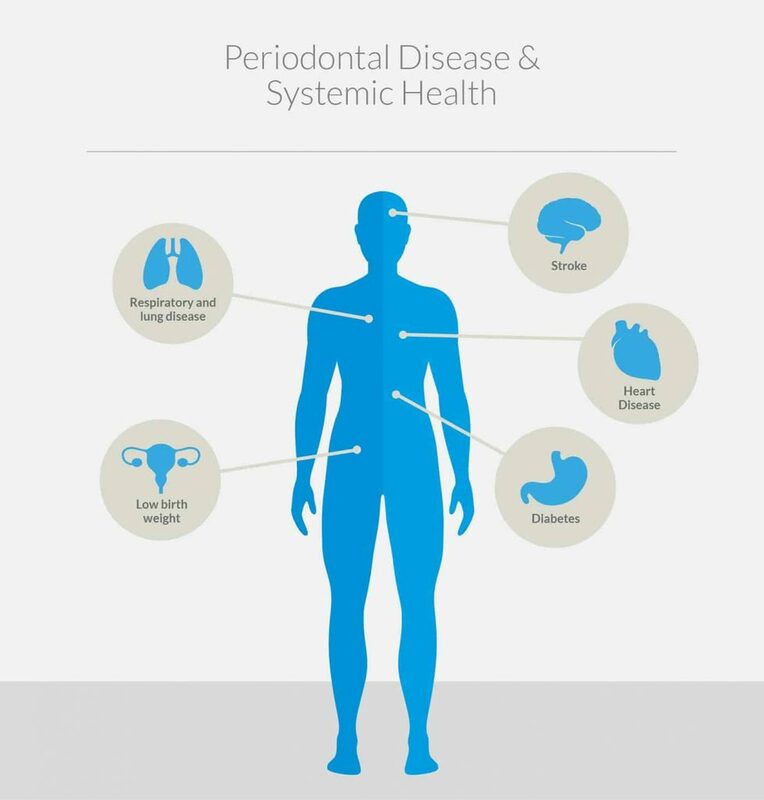 Not only is it critical for your oral hygiene, but periodontal disease is linked to cardiovascular problems, which can damage the heart and cause strokes. Unchecked gum disease can also erode the jawbone, making it more difficult for dentists to correct damage caused by periodontitis. It also makes your breath stinky. 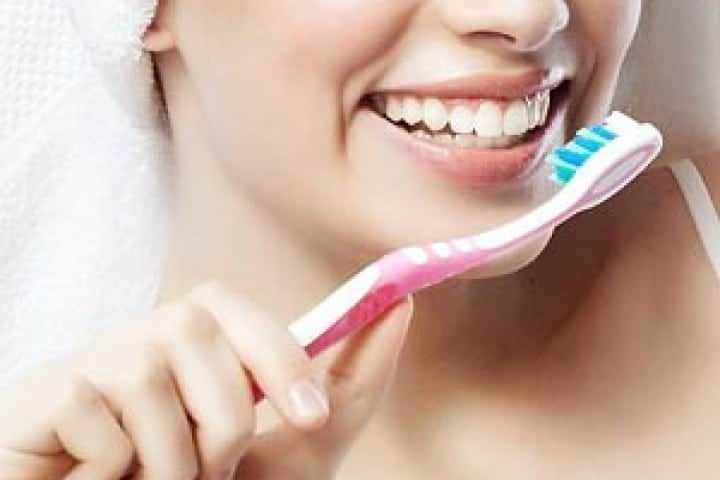 If you think you’re having an issue with your gums, your best bet is to schedule an appointment with our Jenkintown dental office immediately. Flossing. Brushing and using mouthwash are both very important, but flossing is something you do specifically for your gums. For folks that use a water flosser, that’s also good, but it does not replace the need to floss regularly, the old-fashioned way, using dental floss. Floss helps prevent the buildup of plaque by removing food particles from between the teeth. Those food particles end up becoming bacterial plaque, and that’s what causes gum disease. Flossing correctly is also important. You want to slide the floss between your teeth, curving the floss around the tooth, and sliding it up and down, making sure you get below the gum line. When you move on to the next tooth, you want to use a new section of floss, because you don’t want to be introducing the plaque removed from the last tooth to the next one. Quit Smoking! 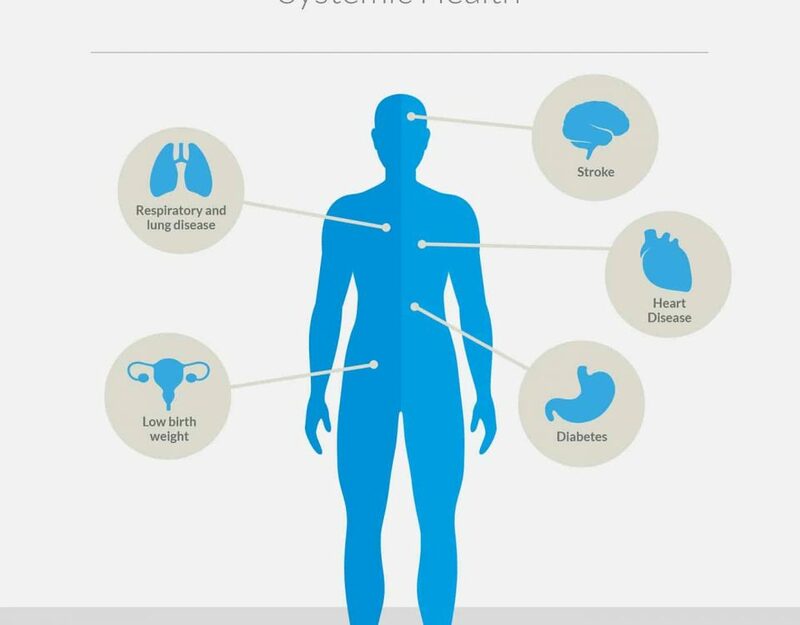 If you smoke, you’re far more likely to develop gum disease, and in turn this will make you more susceptible to cardiovascular disease and stroke, even more so than those that simply have bad gums. Medications. Some medications put you at an increased risk of gum disease. You want to let your dentist know what medications you’re on. Diabetes. Diabetics need to be aware of how their diabetes can affect their gums. It’s an important and often overlooked risk factor for developing gum disease. If your gums are receding, they appear redder than usual, they bleed easily when you floss or brush, your breath seems unnaturally bad, you want to schedule an appointment with a Pennsylvania periodontist as quickly as possible. If you suspect you have gum disease, please feel free to contact us, and we’ll set you up with an appointment as soon as possible!